What’s in a name? When it’s Marcus Lemonis, quite a bit. The Lake Forest resident, philanthropist, and star of CNBC’s hit reality TV show, The Profit, recently announced a rebranding of his Denim & Soul stores throughout the Chicago suburbs, including the one in Lake Forest. The new look also comes with a name change. Now called MARCUS, the “new shopping and retail experience” is part of a growing line of stores throughout the country. 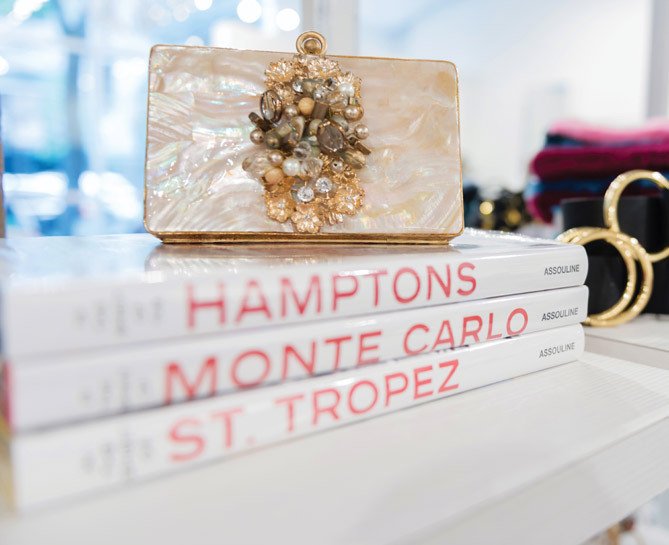 “I’m proud to introduce my newest concept—a luxury fashion and lifestyle destination for women offering the latest styles, curated by me,” says Lemonis. “Our store is here to help women feel their best in quality fashion from around the world and take charge of their lives.” MARCUS is at 67 E. Westminster Avenue in Lake Forest, 224-436-8277, shopmarcus.com. As they say at the Academy Awards, sometimes it’s just an honor to be included. For Lake Forest residents Mary and Marv Farwell’s Flat-Coated Retriever Ruff, just the chance to be shown at the 142nd Westminster Kennel Club Dog Show in New York City earlier this year was an honor. While Ruff—who is more formally known as Grand Champion Flatford Ruffles and Flourishes MH (which stands for Master Hunter)—is ranked in the top fifth or sixth nationally among the Flat-Coated breed, he did not place at Westminster. 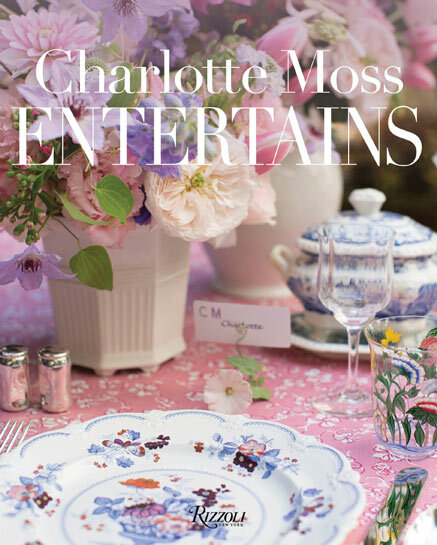 As the owner, Farwell attends certain shows throughout the year, Westminster being one of them. 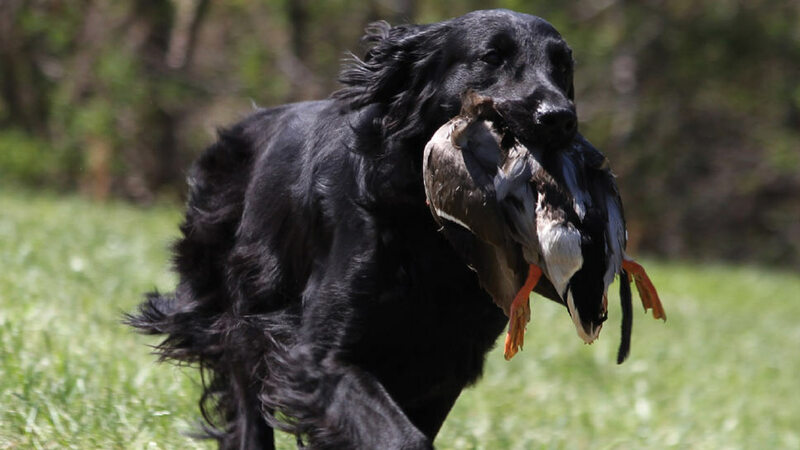 The fact that Ruff is a show dog, as well as a Master Hunter, is a rare combination. “It is very unusual to have a Master Hunter that is in the show ring,” Farwell said. But it may be run in the family, as Ruff’s mother Deedee, who is now 14-years-old, was also a Master Hunter and show dog. Kudos to Ruff and his people. Looking for a way to celebrate Earth Day this month? Lake Forest Open Lands invites you to join its volunteer squad from 1 to 3 p.m. on Sunday, April 22 at Mellody Farm Nature Preserve for a variety of hands-on activities. 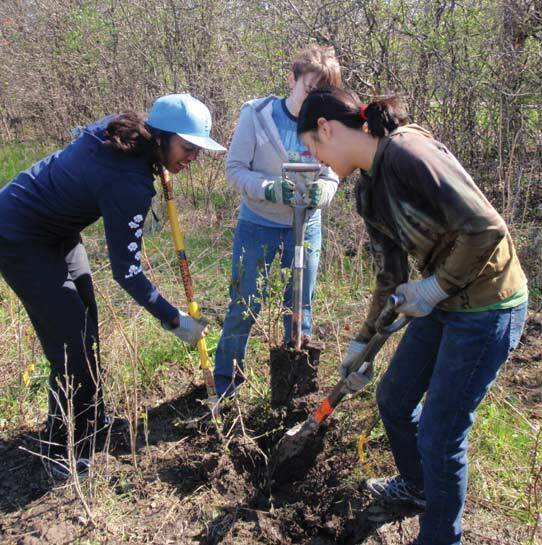 The Earth Day opportunities include participating in buckthorn removal and restoration activities; going on nature hikes; attending a tree planting discussion led by arborists; and a sugar maple tree giveaway, courtesy of Mariani Landscape. Refreshments will be served and the event will be held rain or shine. Mellody Farm Nature Preserve is located at 350 N. Waukegan Road in Lake Forest. For more information, visit lfola.org.